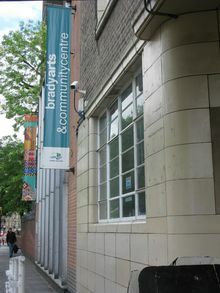 The Brady Arts Centre is a well equipped venue which houses a theatre space with sprung floor, café area with gallery for small exhibitions, large function rooms, the main hall which opens out into the side hall and adjacent garden, meeting rooms for hire and facilities such as the art room with screen printing facilities. 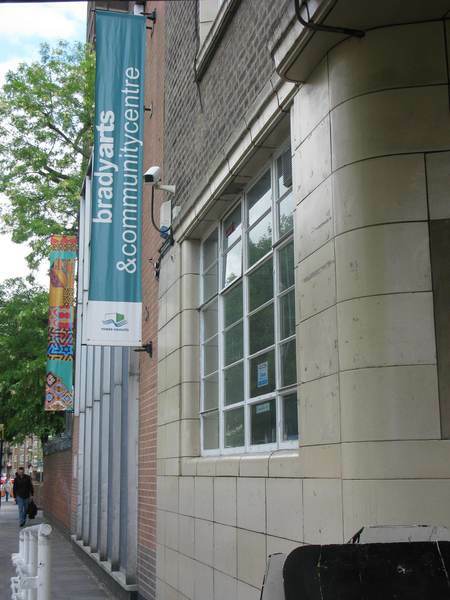 The Centre is home to LBTH Arts, Parks & Events Service, providing funding information and arts advice as well as 'A' Team Arts who provide arts classes and workshops to young people from across the borough at no cost. Arts courses & workshops include dance, drama, music technology, fashion, film and singing. It also provides office space for a number of community groups. The Brady Arts Centre works in partnership with Idea Store Learning who run various courses at the centre; please visit www.ideastore.co.uk for more details. Disabled access. Please see attached Access Statement for full details.